2004: Eight counties contained in the Regional Transportation District (RTD), voted (58%) to raise the RTD 0.6% sales tax rate to 1% (starting in January 1, 2005) to build 122 miles of rail across metro Denver, called Fastracks. The rail line to Boulder County is called the Northwest Rail line. This line would begin at Denver Union Station and travel through Westminster, Broomfield, Louisville, Boulder, and ending in Longmont. 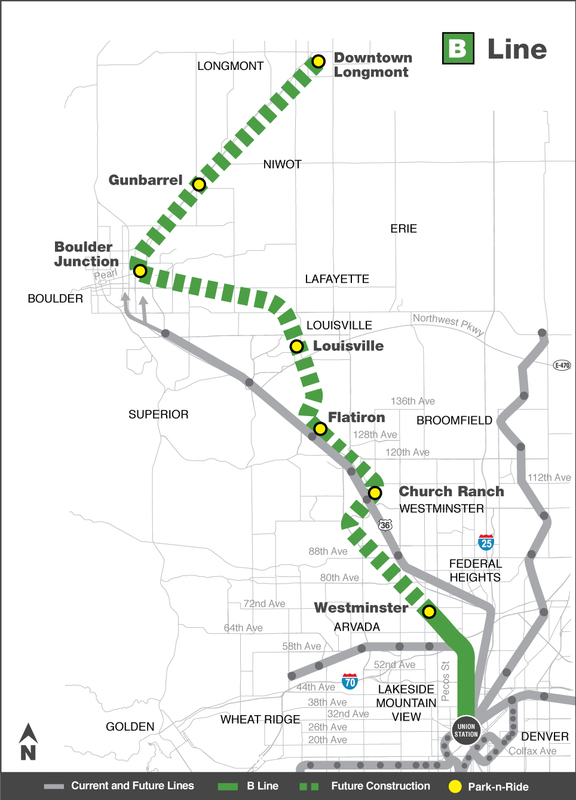 The line would share the existing Burlington Northern and Santa Fe (BNSF) track. 2014: Northwest Rail Corridor delayed indefinitely. 6/30/15: Citizens for Finishing Fastracks is launched. 7/14/15: 1,062 signatures on the Citizens for Finishing Fastracks change.org petition.